As many of you will be aware, on 28 August by the planning committee of Hinckley and Bosworth Council decided to defer the decision on MIRA's Bosworth battlefield planning application until the next committee meeting on 25 September. This application is for the construction of a Connected and Autonomous Vehicle (CAV) testing track, a control tower and storage building, ground works, landscaping and associated infrastructure on part of the internationally important registered battlefield at Bosworth and surrounding fields. We have written to the Council indicating a willingness to discuss solutions with interested parties which do not breach our red lines. We have asked to accompany the planning committee when it visits the development site so we can explain the importance of the location. The council is considering this offer and request. We have separately taken legal advice on future options in the event that the planning committee decides to allow the development in September and are considering this. 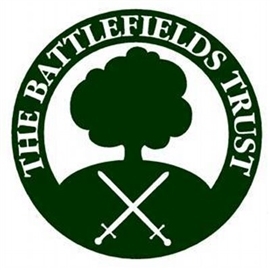 It is important that Battlefields Trust members and those of our partner organisations continue to voice their disapproval for this planning application. If you haven't already signed the petition against the application at link below, could you please do so. We continue to urge anyone who objects to this proposed development to voice their objection by writing with their name and address and using planning application reference 18/00425/FUL to planning@hinckley-bosworth.gov.uk.